In order to validly make a Will, a testator must have testamentary capacity. 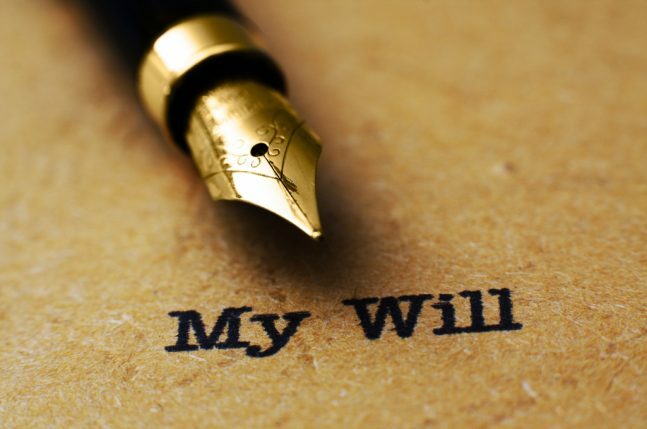 Section 7 of the Wills Act, 1936 empowers the Supreme Court of South Australia to authorise a Will to be made on behalf of a person who lacks testamentary capacity, in certain circumstances. Such Wills are known as a Statutory Wills. In what circumstances is a Statutory Will likely to be needed? For adults or children with substantial estates who have never had testamentary capacity, for example as a result of a brain injury suffered at birth or before they turned 18 (“nil-capacity cases”). Without a valid will, a person’s estate will be distributed according to the laws of intestacy. As individuals who suffer serious brain injuries are often the recipients of significant compensation awards, it may not be desirable for their (often) substantial estates to be divided according to the laws of intestacy. This is particularly true in situations of estrangement from particular family members, acrimonious family circumstances or where one parent is far more involved in the person’s care than the other. How is an application for a Statutory Will made? The person the subject of a Statutory Will application is known as the proposed testator. An application for a Statutory Will can be made by any person with the permission of the Supreme Court. Commonly such applications are made by family members or individuals or trustee companies appointed to look after the proposed testator’s financial affairs. An application is commenced by Summons and will need to be supported by affidavit evidence. The application must be served upon any person who may have an interest in the proceedings and will include any family members who would otherwise benefit under intestacy laws. What must the Court consider? An application can only be made with the Court’s permission – this to prevent inappropriate or unmeritorious applications. Once the Court has granted permission, it must then determine whether an order authorising the making (or alteration) of a Will should be made. It is reasonable in all the circumstances that the Order should be made. The terms of the proposed Will. In determining whether a proposed Will accurately reflects the likely testamentary intentions of the proposed testator, the law distinguishes between nil capacity and lost capacity cases. In nil capacity cases, the Court will hear evidence on the proposed testator’s relationships and family circumstances to assess and determine what their likely testamentary intentions would have been. There is an assumption that if the estate is significant, the Court should authorise some kind of statutory Will unless it can be satisfied that the distributions on intestacy would provide adequately for all reasonable claims on the estate. Lost-capacity cases tend to be less problematic from an evidentiary view. As the proposed testator was once able to give effect to their wishes and views, the Court has some form of basis or indicator upon which to consider whether the terms the proposed Will reflect their likely testamentary intentions. Who can be named as a beneficiary in a Statutory Will? Parties (and interested persons) in a Statutory Will application are able to agree on the terms of the proposed Will and seek Court authorisation on it. However, the Court must independently satisfy itself; firstly, that the terms of the proposed Will accurately reflect the proposed testator’s likely intentions and; secondly, that it would be reasonable in all the circumstances to make such an order. In the case of W, DJ  SASC 45 Justice Stanley was not satisfied on either limb and declined to authorise the proposed Will agreed by the parties. Instead, he authorised that a Will be drawn in terms that he considered more accurately reflected the proposed testator’s likely testamentary dispositions. The beneficiaries who may be named under a Statutory Will are not limited to family members. In appropriate cases, they may include long-standing carers or other persons who play a significant role in the proposed testator’s life. In the case of Shaun Arthur Pickles  SASC 175, Justice Stanley authorised the making of a Statutory Will which provided a $250,000 bequest to a long term carer. Further, the Will included a clause that provided that the entire estate (then estimated at $7 million) would be given to her in the event that the proposed testator’s family predeceased him. For further information (or if you need to make a Will) please contact Alex Boardman on 8362 6400 or email Alex Boardman. Join our mailing list to receive updates and advice on current issues. Alex is a highly experienced (and caring) lawyer who specialises in the area of Wills, Estate Planning, Probate and Contested Estates including Inheritance Claims. Call on 8362 6400 or email Alex. Danny thank you very much for your services and excellent advice. Rated 5 out of 5 based on 83 reviews. Sign up for email advice on current issues. © 2019 Beger & Co Lawyers. All rights reserved.